Rose essential oil benefits include it's ability to decrease anxiety, create calmness, and affect psychological and emotional health by uplifting spirits. Rose Essential Oil Benefits and Uses for relaxation, aromatherapy, beautiful complextion, and natural healing. It is extracted by steam distillation, often from the Damascas (Bulgarian) Rose, as they are the most aromatic and have the highest oil content. This rose is grown primarily in middle east countries. Deep Relaxation - aroma of rose oil helps relax the mind, body and spirit, to create a health state of peace. Also promotes sleep for those with insomnia. This essential oil helps to regulate and balance hormones naturally, which promotes regular menstruation, helping relieve mood swings, irritability, overeating, cramping, and bloating. The aroma makes you feel energetic, positive, happy and loving, as it is a common aphrodisiac. It encourages blood circulation, lowers blood pressure, and helps relieve headaches. Large amounts of rose petals are required to yield a small bottle of oil, and the concentration can be volatile, as with most essential oils, so use with caution and moderation, and it is recommended to never use during pregnancy. Read more about studies that are being conducted on the health benefits of this oil, and it's effect on the mind, as well as the body. 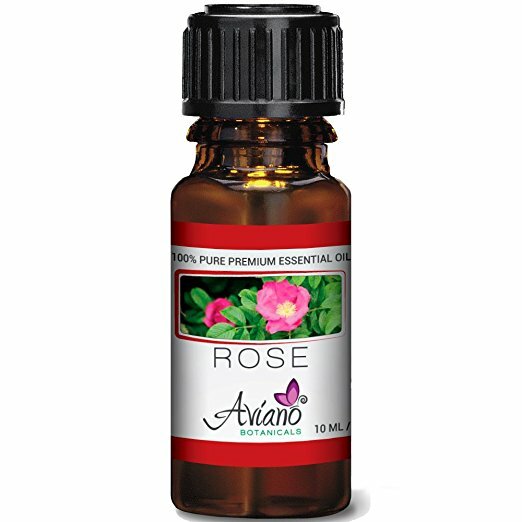 Rose essential oil uses are unlike many other oils, but it is most widely used for relaxation, to help heal wounds, help fight infection, and to aid in female reproductive health problems.